Improve operational efficiency, enhance safety, and make better decisions with drone imagery. Lower operating costs and shorten inspection timelines by using drones (UAVs) for roof inspections and insurance claim needs at scale. Send professional drone pilots out to get the aerial property inspection imagery you need to process a claim or underwriting inspection. DroneBase insurance packages are safe, fast, ROI-positive, FAA compliant, and available nationwide. Capture previously unavailable insights with unbeatable speed. Know with confidence that existing damage or issues will not be your problem. Leading insurers across the country turn to DroneBase when reliability is essential. DroneBase has partnered with leading enterprises in the space to help prevent fraud, improve data accuracy, identify hazards and potential conflicts, enhance safety, and much more. As a result, we’ve been able to help insurance companies cut costs and increase efficiency. Whether you need inspections for you residential or commercial properties, DroneBase can help. We’re the nation’s leading provider of drone operations for the insurance industry, powered by the largest network of professional drone pilots in the world. Insurers that use drone imagery in their property inspections are seeing inspection timelines settled within 2-3 days as compared with 10-15 days with those using traditional methods. The savings in time allow for insurers to cut into the 11% on average of every premium dollar they spend on inspections. Contact us for a quote with the lowest available pricing. 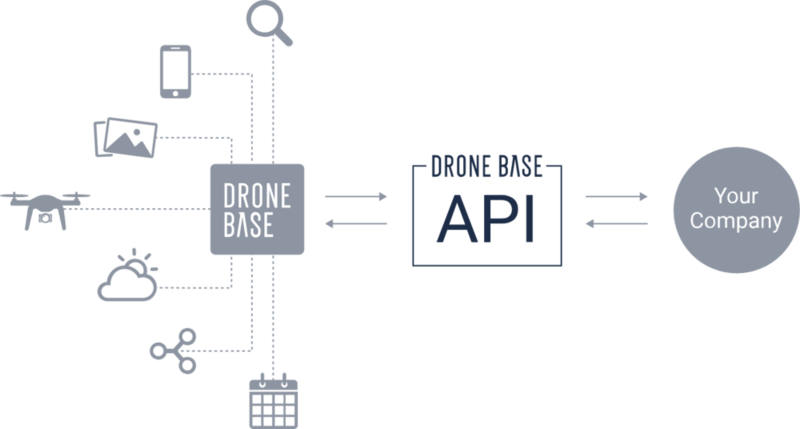 If you’re working with a large number of properties or require high volumes of data, we’ve built the world’s first and most reliable drone services API just for you. Once enabled, we can send huge amounts of aerial imagery directly into your workflow for a seamless experience. Drone UAV inspections are cheaper, faster, and better than traditional roof inspections. DroneBase inspections can be easily integrated with your existing workflow, software, and reports to reduce time and maximize efficiency. Use our nationwide pilot network to create the optimal desk adjustment solution through high-quality aerial property inspection imagery. DroneBase operates a network of qualified, professional drone pilots who are trained and experienced to fly for commercial and residential inspection purposes. All of our pilots are vetted and tested for professionalism and quality. We are permitted to fly for commercial use and insured at every job site. DroneBase has flown tens of thousands of insurance inspection missions - more than anyone else in the industry. How do you improve operational efficiency? DroneBase will enable you to reduce the inspection cycle, settle property claims faster, get detailed imagery for underwriting, and create a desk adjustment solution. We will enhance your claims adjusters’ safety by getting accurate imagery regardless of most weather conditions and put an end to the use of ladders for inspections. By accurately determining property conditions through high-quality imagery, you will be able to better analyze a property and make better decisions.